We have 39 people already booked for this year’s community event, which will take place at The Social and Bowling Club on 18 December. This is intended as a warm and welcoming Christmas event for anyone, and we will not discriminate against those who consider themselves too young to come along and join in!! The big goal this year is to raise as much funding as we can to cover the cost of the day, and buy a really nice gift for all our guests. Last year we sent home around 15 lunches for those who could not attend, and we know they were very much appreciated. This year we would like to do the same. 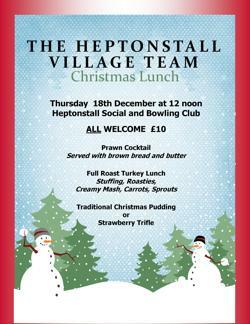 Our guests tell us, that they wish to get to know more of the newer inhabitants of Heptonstall and therefore they warmly invite you to join in, and come and have a Christmas lunch with us. If you cannot attend, but would like to help us, we would be very grateful for your support, which could include…..
or leave a contribution with Tony at the Post Office or at May’s Shop. 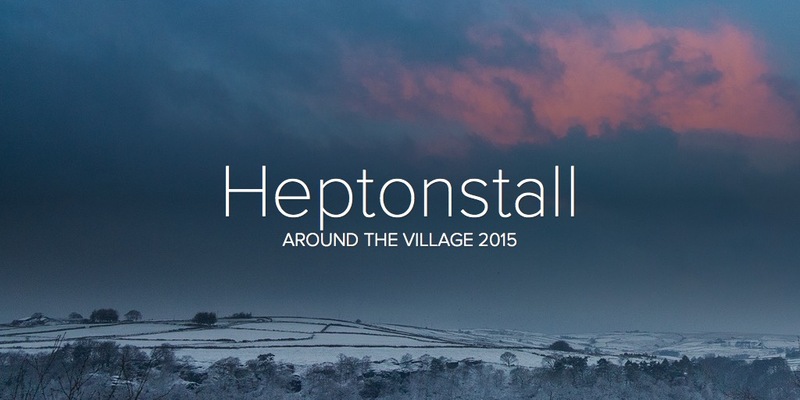 This entry was posted in Events, Heptonstall Village Team, Services for Older People, Village Team Upcoming Events. Bookmark the permalink.